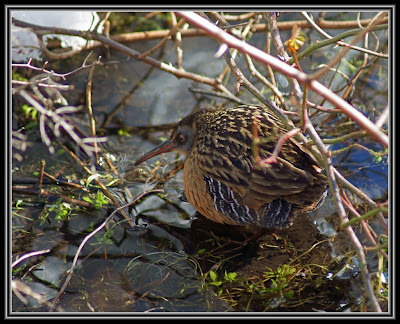 Virginia Rail seen Feb. 12th. at The Celery Farm in Allendale. Observed it for about 45 minutes from distances as close as 10 feet!! A very cooperative little bird & a lifer for me!